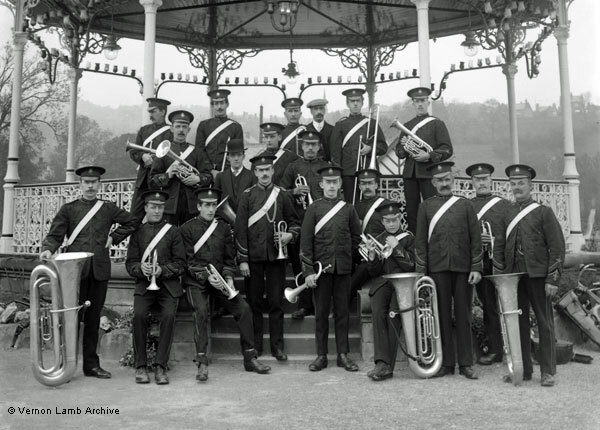 Description/Historical Information: Matlock Brass Band. Third man from left, front row, is wearing bicycle clips. The boy with the cornet, front row 4th from right, was Fred Slater who devoted his life to brass band music [also see VLA4982].